Believe it or not but Birkenstock’s signature silhouette has been around for over 200 years. 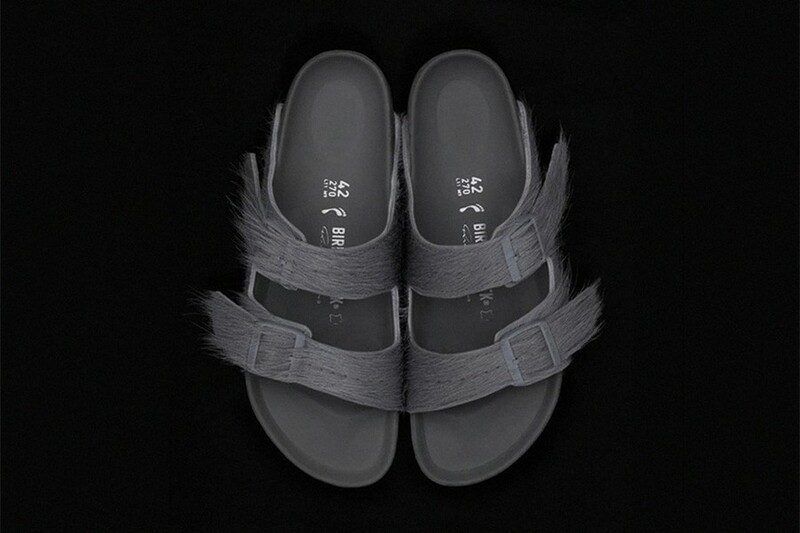 Phoebe Philo famously fuzzed it for Céline and now Rick Owens has put his own spin on it, creating a goth version of the shoe reimagined in a grey cow hair. Chic, hairy Birkenstocks – who knew? To celebrate the launch of the collab, Owens is inviting guests to come for a night of foot worship on April 17 in his LA store. Yes, you read that correctly. Those attending will have their feet massaged and lubed up with Birkenstock’s new moisturising lotion, preparing them to be photographed by one of the designer’s fave photographers, Paul Kooiker – who shot backstage at Owens’ SS16 show for the spring/summer 2016 issue of Dazed. What will happen to the pictures after? Well, that’s for Rick to know, and for you to never find out. Rick Owens x Birkenstock launches on April 17. The collection is available for pre-order now, here.